The picture above shows a topsy-turvy world. A Royal Canadian Mounted Police (RCMP) officer is helping a family cross the U.S.-Canada border. An American border patrol, not shown, is trying to prevent them from entering Canada. They had to go through a gully where they had thrown their belongings. Without the help of the police they could not have entered Canada. Both the American border patrol and the RCMP officer were doing what they had to do. One should keep in mind that the United States has welcomed people fleeing persecutions and oppression for most of its history. One of our WordPress colleagues remarked that the United States had been a lighthouse, a beacon, to the world. It is inhabited by immigrants and descendants of immigrants, many of whom are or have become prominent Americans. Matters will be remedied, because Mr Trump’s policies are not “American.” They are a violation of the American Constitution. I watched a video showing a man carrying signatures, a petition, from people who are asking that Mr Trump be impeached. For the time being, Canadians have been asked to shelter refugees who could be the victims of a particularly harsh winter day. I doubt that this reflects a formal policy, but one rescues people who endangered by a harsh winter and could be deported. However, one also dials 9-1-1 and informs the police. Many Canadians are protesting against President Trump’s Islamophobia. However, Canada has not escaped a degree of Islamophobia. One Canadian killed 6 Muslims and wounded 5. Investigators reported that Alexandre Bissonnette, the Quebec City shooter, could not be associated to a terrorist organization. He had been influenced by the media as his Facebook accounted reflected. He admired Donald J Trump, the President of the United States, and Marine Le Pen, the leader of France’s Front National. The shooting was investigated immediately and the shooter could not be linked to an Islamic terrorist group. Certain individuals would have liked to link the brutal attack on Muslims in Quebec City to an Islamic terrorist group. On Thursday, 16 February 2017, Justin Trudeau was in Strasbourg, France, where he addressed the European Parliament, which had ratified the Comprehensive Economic & Trade Agreement (CETA). CETA had been discussed since 2013, when it was proposed by Prime Minister Stephen Harper, Mr Trudeau’s predecessor. The agreement had to be modified in order to be ratified by the European Union, hence the delay. CETA must now be passed by the Canadian Parliament (the House of Commons) and approved by Canada’s Senate. President Trump is promoting protectionism, which places limits on free trade. Canadians promote free trade between Canada and the European Union. However, CETA was not negotiated to oppose President Trump. Prime Minister Justin Trudeau also met with German Chancellor Angela Merkel. Chancellor Merkel will commit a larger financial contribution to NATO, the North Atlantic Treaty Organization (l’Organisation du Traité de l’Atlantique Nord, OTAN). However, Canada will not. It will contribute otherwise. NATO is a military alliance. He met with German Angela Merkel on Friday morning. Chancellor Merkel was close to former American president Barack Obama. Whether or not she will be close to Prime Minister Trudeau remains to be seen, but they had a congenial meeting and she gave him of photograph showing Trudeau père and 10-year-old Justin during a trip to Germany. When leaders talk, ordinary citizens live in a safer world. During the past week, there were attempts to build bridges. The European Union was weakened by the European migrant crisis, which began in 2015. Brexit showed that people tend to fold up if they feel threatened. Nativism arises. The more salient example of this kind of behaviour is the 2016 American Election. Barring Muslims from entering the United States invites further radicalization and terrorism. ISIL is a reality, but ISIL is an Islamic terrorist organization. Saying that all Muslims are terrorists is false and it is dangerous. So is building a wall to keep Mexicans out. It is divisive. The better path could be to boost the Mexican economy. Justin Trudeau, Canada’s Prime Minister, was in Sherbrooke last Tuesday, 17 January 2017. There was a town hall meeting and both French-speaking and English-speaking Quebecers were in attendance. There was an incident. An English-speaking woman asked a question in English, but Trudeau answered in French. French is Quebec’s official language but outside Montreal, inhabited by citizens of the world, Quebecers’ everyday language is French. Prime Minister Trudeau was criticized for answering in French. Quebec is officially unilingual because the survival of the French language is threatened in North America. French-Canadians are a minority and most live in Quebec and in the Maritime Provinces. To protect itself, not only is Quebec unilingual, but it has language laws. when Quebec held a referendum on sovereingty (1980 and 1995). Quebec unilingualism and attendant language laws are reflected in its education system. Children whose parents are English-Canadians may attend an English-language school. It may be possible for a child born to French-speaking parents outside Quebec to be educated in English, but the child may have to attend a French-language school. It is also possible for a child born to mixed parents, such as an English-speaking father born outside Quebec and a French-Canadian mother, born in Quebec, to be educated in English, but problems may arise. The child may have to attend a French-language school. Language laws also apply in other areas. For instance, a driver is unlikely to see the word “stop,” a French word, on a Quebec stop sign. Moreover, overhead monitors providing traffic information are unilingual. That’s dangerous. In other words, while they may ensure the survival of a French-language Quebec, the language laws are a hindrance. Out of the 10 Canadian provinces, only New Brunswick is officially bilingual. The only officially bilingual province of Canada is New Brunswick and the only officially unilingual province of Canada is Quebec. Its official language is French. In the remaining 9 provinces, children may attend an English-language school, a French-language school or a French “immersion” school. Many English-speaking children learn French at an immersion school. To my knowledge, there is no such thing as an English immersion school. Quebec has not signed the patriated constitution, or Constitution Act of 1982, which was signed by other provinces and the federal government on 17 April 1982. Quebec asked to be able to veto Amendments to the Constitution of Canada, which may explain its refusal to sign. (See Quebec Veto Reference, Wikipedia.) However, although Quebec did not sign the Constitution Act of 1982, Quebecers are protected by the Canadian Charter of Rights and Freedoms, embedded in the Constitution Act of 1982. Because Quebec has not signed the Constitution Act of 1982, its Health Insurance Card is not accepted outside Quebec, but hospitalization costs are covered. The Health Insurance Card of residents of other provinces are valid in Quebec. This problem will be solved when Quebec signs the Constitution Act of 1982, which Quebec Premier Dr Philippe Couillard intends to do. Paying income tax to both the Quebec government and Canada may also be an irritant. But I should point out that Quebecers are eligible for services not covered in other provinces, such as daycare. The cost of daycare has now been increased, but minimally. Trudeau père was a blessing to French-Canadians living outside Quebec. He fashioned an officially bilingual and bicultural Canada. Suddenly, one could watch Ici Radio-Canada, the French language counterpart of the Canadian Broadcasting Corporation (the CBC), from coast to coast. French immersion schools became fashionable. It was a brave new world. 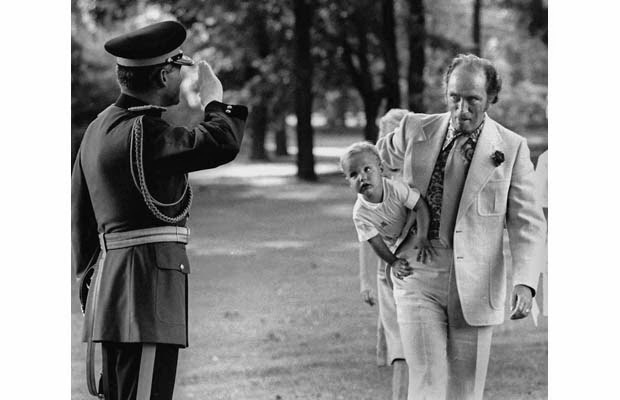 Trudeau père was also a blessing to immigrants. We are a multicultural country. No one is a foreigner. Ironically, it is unlikely that in a province other than Quebec, a person could ask a question in French and expect the question to be answered in French. There are exceptions, but English is spoken in 9 of the 10 Canadian provinces, so French-speaking Canadians living outside Quebec may have the “right” to ask a question in French but, unless they are addressing Prime Minister Trudeau or a bilingual political leader, they may not be answered in French, particularly if most persons in at a gathering speak English. If the question is asked in French, both the question and the answer may have to be translated into English. Outside Quebec and Canada’s national capital, Ottawa, the majority of Canadian citizens speak English. I would not dare say that French-speaking citizens living outside Quebec are victimized, but there can be no doubt that certain theories cannot be put into practice other than exceptionally. Many Canadians are bilingual but most communicate in English rather than French. But it is possible for English-speaking residents of Quebec to spend their entire life in Quebec without ever needing to learn English. The 17 January 2017 town hall meeting was held in an officially French-language province. As a Canadian, the lady whose question, asked in English, was answered in French had the “right” to expect being answered in English and could have asked the Prime Minister to do so. It was an informal venue. But the problem is elsewhere. Canada is bilingual, but the province of Quebec is unilingual. So what does one do? The truth is that Trudeau is very respectful of English-speaking Canadians. His mother is an English-speaking Canadian and Trudeau is very fond of Queen Elizabeth II. It should also be noted that he speaks French and English very fluently. I prefer not to throw stones at him for supposedly letting down English-speaking Canadians living in Quebec. He has not betrayed his father who made this country bilingual, bicultural and multicultural. I would say that he got caught between a rock and a hard place. Had he spoken in English, he could also have been criticized. All I fear is that Prime Minister Justin Trudeau will be intimidated by President Trump. 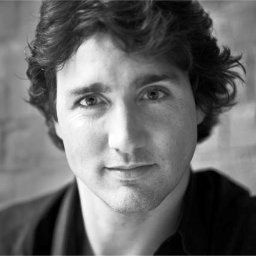 Whether or not Justin Trudeau is elected Prime Minister of Canada, he has turned a page in the history of Canada. Throughout his campaign, Trudeau has focused on one issue: prosperity for Canadians, which is the real issue at the moment. The Globe and Mail, Canada’s leading English language newspaper, reports that, if the Liberals are elected into office under the leadership of Justin Trudeau, Canada’s government will be more “interventionist” than prior governments. This is what circumstances are calling for. Trudeau’s Liberals have identified the main issue. Too many children live in poverty, which is unacceptable. As a responsible leader, Trudeau will address this problem immediately. The cost of living is so high that it is taking away from the children of the nation nutritious food, a good roof, the means to purchase sport equipment, musical instruments, art supplies, and the funds to receive a proper education or job training. The cost of living should not be so high that a society finds itself compelled to take away from children the joy of childhood, a degree of that marvelous insouciance a child requires. Liberal Party Leader Justin Trudeau has the figures for each city in Canada. He knows the number of children whose well-being is threatened at this very moment and he will help families now. If the government of Canada does not reach out to the people promptly, Canada will lose a generation. Justin Trudeau has travelled the country and sent a clear message, a message so clear that Canadian political leaders have heard. One does not wait until the poor storm the barricades to reach out to those in need. One acts and one acts now. It is in this regard that Mr. Trudeau has turned a page in the history of Canada whether or not he is elected to the office of Prime Minister of Canada. Or could it be that he is taking us back to golden years? When Lester B. Pearson was Prime Minister of Canada, he asked Allan J. MacEachen (b. 1921), the former Deputy Prime Minister of Canada, to build social programs that would protect Canadians: health care, unemployment benefits, disability benefits, old age security and other programs. Mr. MacEachen devoted his entire life to the people of Canada, however humble, the humblest. At the moment, these programs need better funding. I believe Trudeau will be a people’s Prime Minister, that he will ensure the safety of all Canadians. Trudeau and other political leaders know that Canada has an enormous potential for growth. Therefore we plan and then we pounce. There is immense wealth in Canada. At any rate, there is wealth beneath that snow, including oil. In fact, there could be diamonds. Quebec Premier Dr. Philippe Couillard is having a road built leading to the bountiful north. We must be realistic and not bank on what could be an insufficient quantity of diamonds, but let us look back at Canada’s legendary tireless voyageurs, who sang as they rowed. There are other sources of wealth. For instance, we could build rapid-transit systems. Canada is a large country, but we have groups of cities and some cities extend over a large territory. Building a train ensured that Canada went from east to west, from the Atlantic Ocean to the Pacific Ocean. Why not make it possible for students to go from Maple Ridge, British Columbia to the main campus, the very heart, of the University of British Columbia? I cannot say this often enough. Human beings build the road to the future. It doesn’t just happen. That also sent a strong message, so strong that Ottawa had to be interventionist. It passed the Clarity Act of 15 March 2000. One vote cannot divide this country. If one vote could break this country, federalism would be brittle. I missed some of that debate to a cluster migraine, but Mr Mulcair wanted a number, Mr Trudeau’s number. Mr Trudeau stopped and then stated unambiguously that his number was 9. 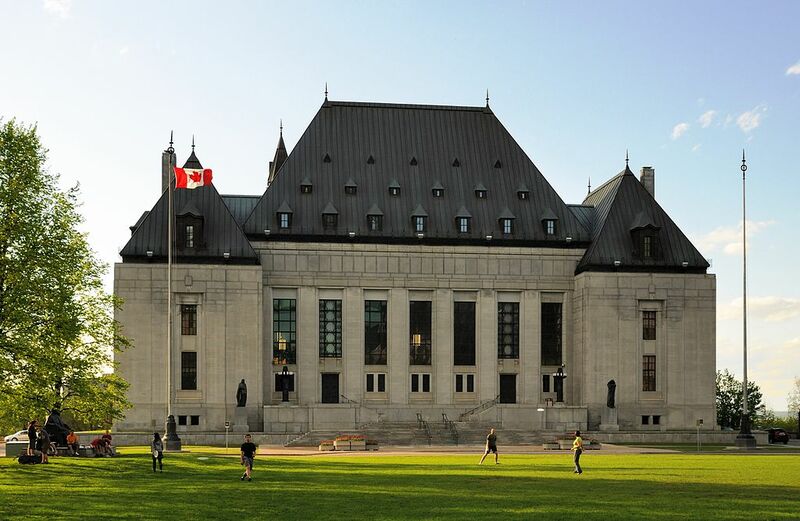 Nine judges of the Supreme Court of Canada, i.e. all judges, ruled that one vote cannot divide this country. But the Clarity Act would get a big boost during the closing speech by United States President Bill Clinton. While looking directly at Quebec Premier Lucien Bouchard, who was present in the audience, Clinton appeared to echo the Supreme Court Reference, warning that “when a people thinks it should be independent in order to have a meaningful political existence, serious questions should be asked…. Are minority rights as well as majority rights respected? How are we going to co-operate with our neighbours?”. Clinton argued that federalism allows peoples seeking recognition of their identity a way to do so without isolating themselves in a nation-state. The speech would lay to rest any doubts about the U.S. position on the legality and desirability of unilateral secession in Quebec. 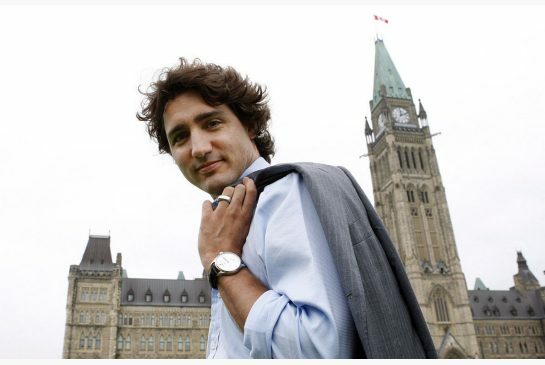 Canada votes on 19 October 2015 and I believe Mr. Justin Trudeau will be elected Prime Minister of Canada. Mr. Trudeau was in Sherbrooke, Quebec, on 6 October and I was in attendance. I do not think Canadians have any choice but to elect a liberal government under the leadership of Justin Trudeau. 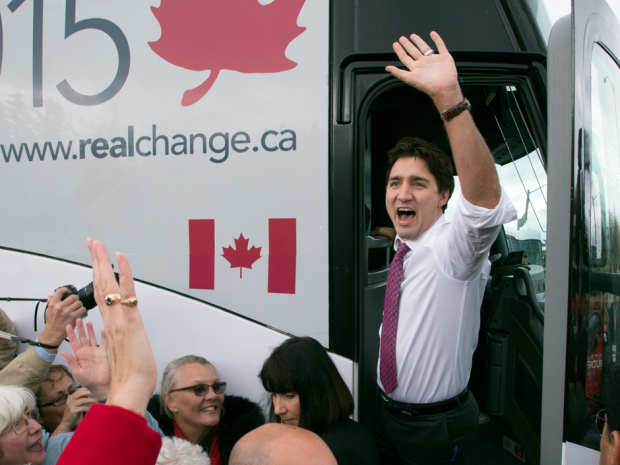 Justin Trudeau is the voice of the people, which sets him apart from his contenders. In particular, his enthusiasm gives Mr. Trudeau and members of his team the winning edge. Enthusiasm means “possessed by a god.” With all due respect, I see very little enthusiasm on the part of his contenders. They are in fact rather lethargic. I’ll call this discrepancy, i.e. enthusiasm versus lethargy, the great divide. As for his contenders, they seem to have abdicated. Mr. Trudeau’s address was not about bilingualism and biculturalism. What a change. His address was about bread and butter issues. Canada’s social programmes need better funding. The gap is growing wider between the rich and the poor. Too many families have to choose between educating their children and saving for retirement. Many Canadians, children and the elderly, in particular, live in poverty. Therefore, it would be my opinion that, on 19 October 2015, Canadians will elect a government whose programme is greater prosperity for Canadian families. Canada is losing its middle-class. In short, it’s all about change. An apathetic government will not bring about changes. It will see obstacles where there are boundless possibilities. Obstacles can be turned into challenges. It’s a matter of perspective. Justin Trudeau is not the polished intellectual his father was. We are looking at two different individuals. However, I see considerable determination on the part of the father depicted in the photograph featured above, and determination is what father and son have in common. Mr. Gilles Duceppe (born July 22, 1947): the leader of the Bloc Québécois.